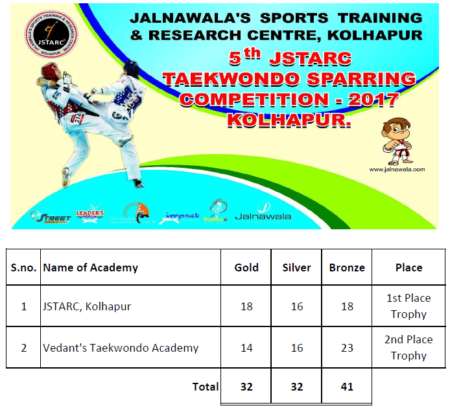 JSTARC Kolhapur recently conducted it’s ‘5th JSTARC Taekwondo Sparring Competition’ in Kolhapur city. More than 100 students participated in this competition across various cities of Maharashtra. 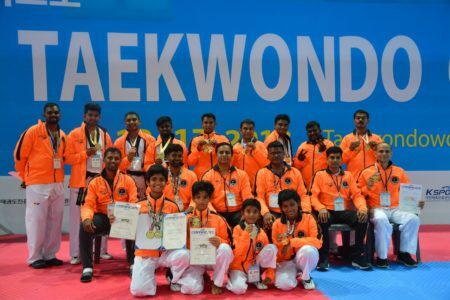 The participants battled out for achieving their Gold, Silver and Bronze medals. Founder & CEO of JSTARC, Master Nilesh Jalnawala attended this event along with senior masters like Master Jai Kumar – JSTARC, Bengaluru and Master Paresh Patel – JSTARC, Gujarat. The highlight of this event was the presence of Shri. 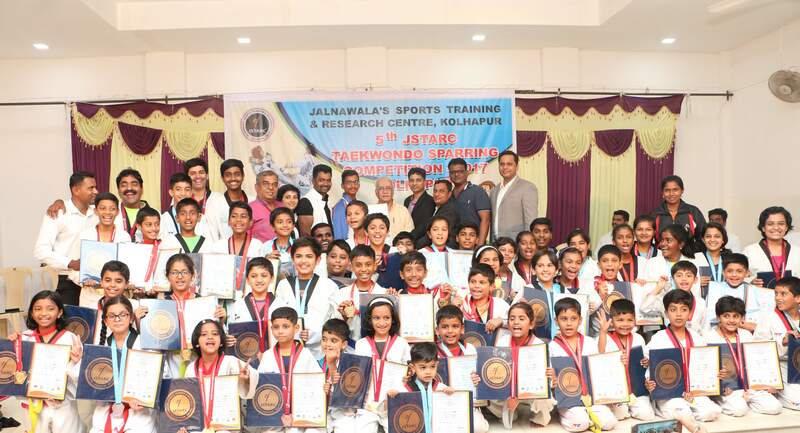 Ashok ji Jalnawala – Chairman, Jalnawala Sports and Wellness Center Pvt. Ltd.
Over 100+ medals were distributed to the winners. 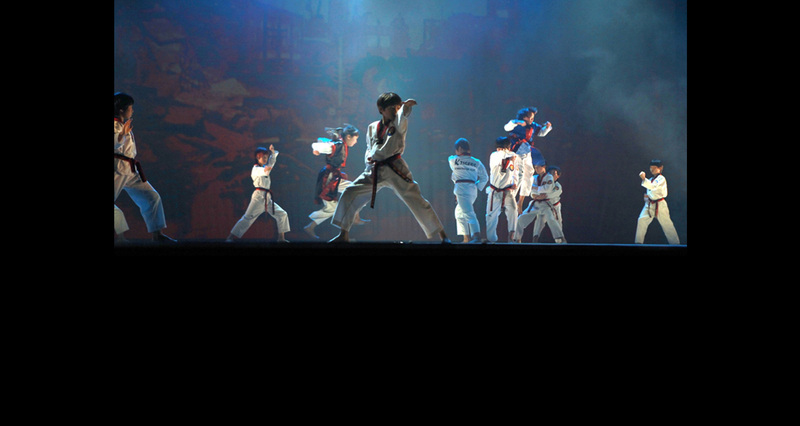 JSTARC Kolhapur won the 1st place trophy followed by Vedant’s Taekwondo Academy, Mumbai securing the 2nd place. Team JSTARC Congratulates all the winners and wishes JSTARC Kolhapur for many such future events.